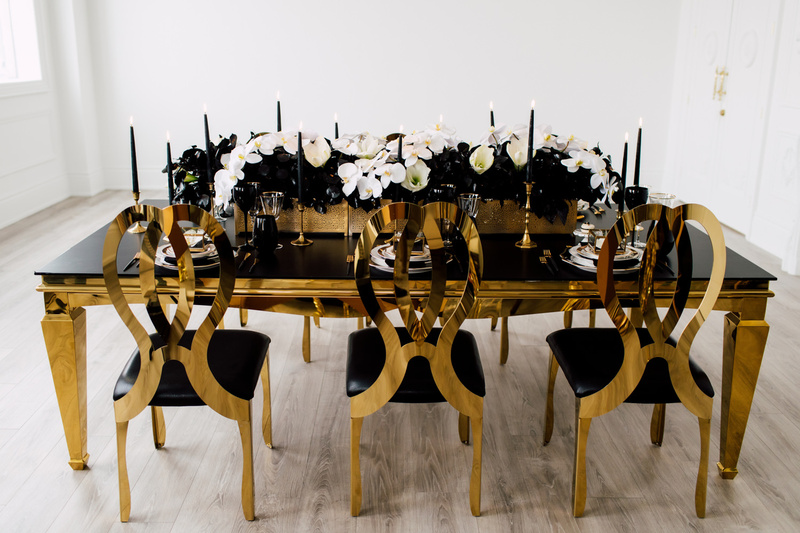 Connected to the Ballroom where the Holiday shoot took place, our Conservatory shares the same look and feel with the detailed moldings on the white walls. 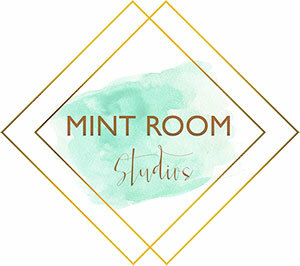 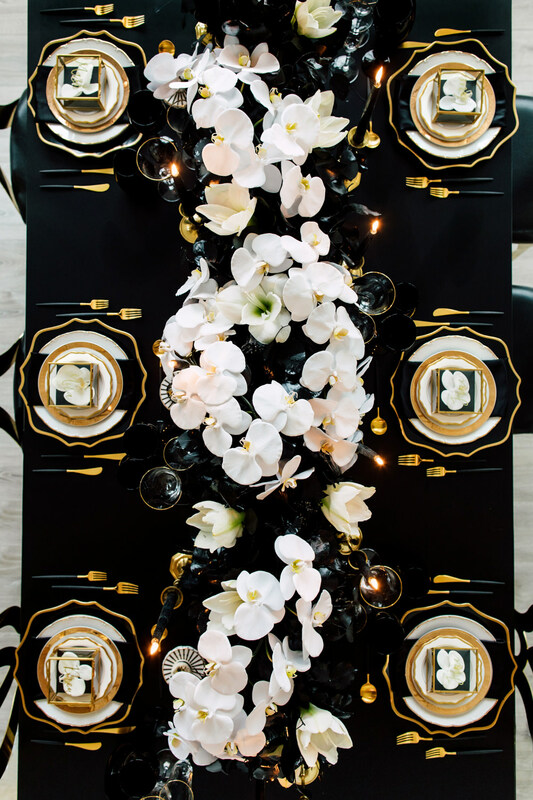 Although this creative was conceptualized by a group of wedding vendors including La Chic Soiree and Purple Tree Photography, their vision works for any celebratory event! 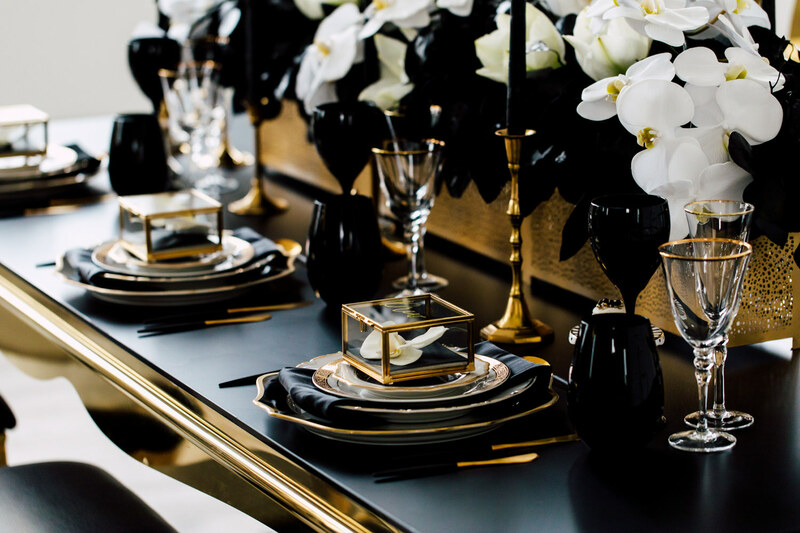 It’s all about the details, the table setting welcomes the most elegant meal. 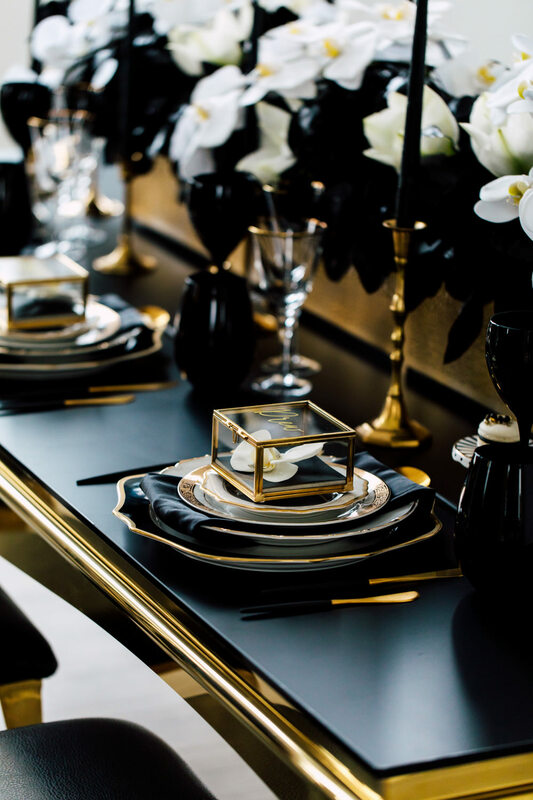 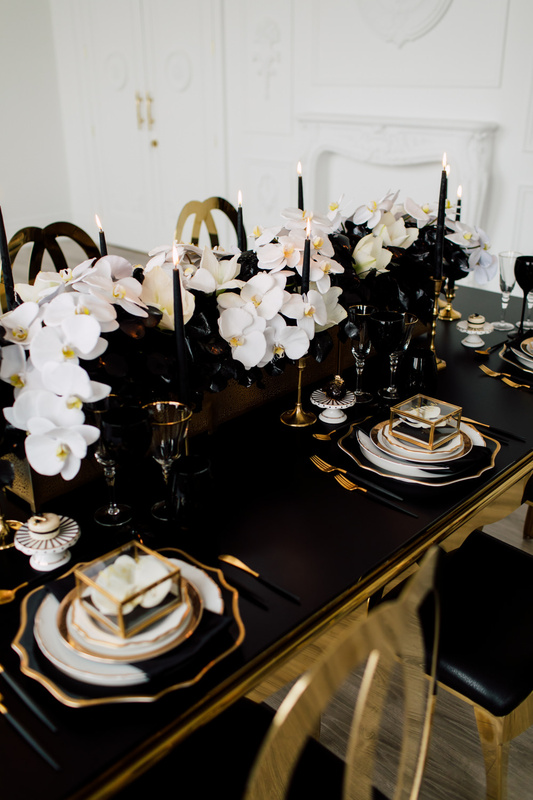 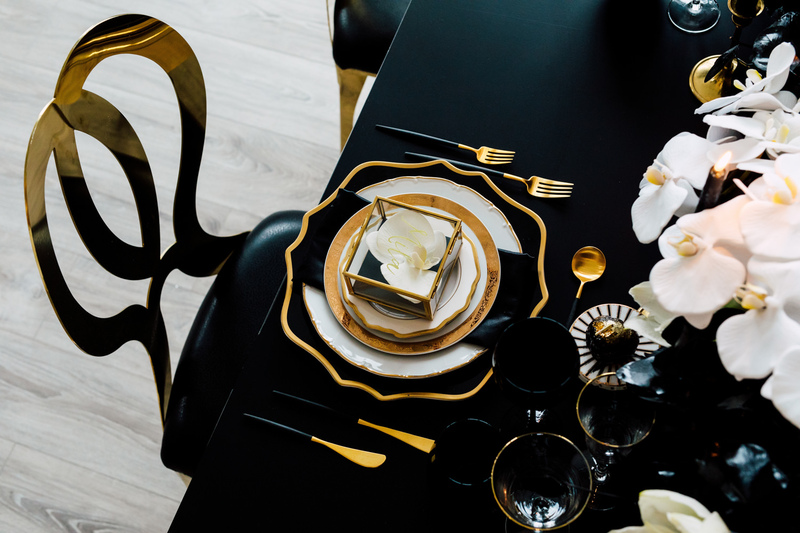 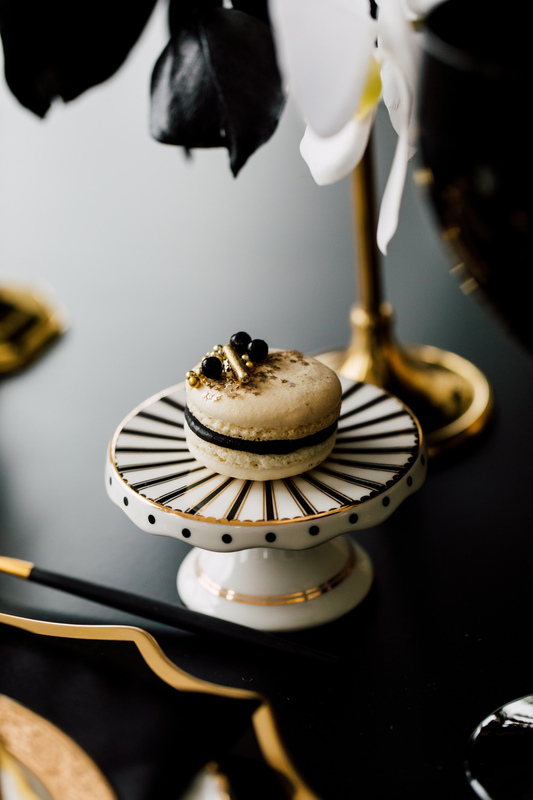 The black and gold utensils match the gold trim plates, accented by the gold dessert boxes, for an overall feeling of pure romance and luxury. 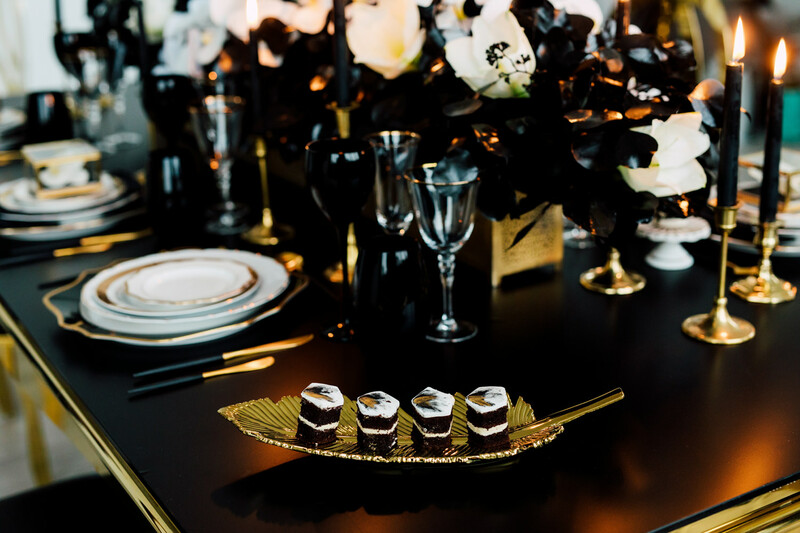 LiMa cakes provided the sweets that looked like delicate pieces of art meant to be savoured, rather than devoured! 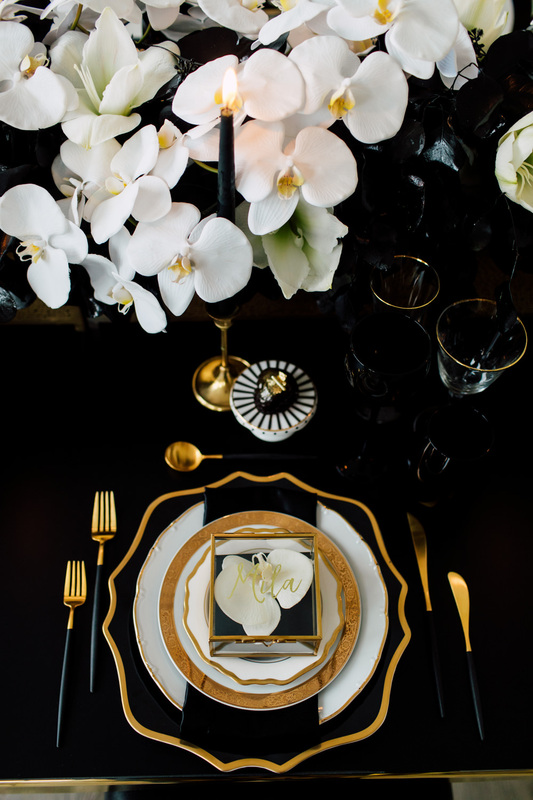 We love the abundance of white orchids by Precious Flowers N’ Things. 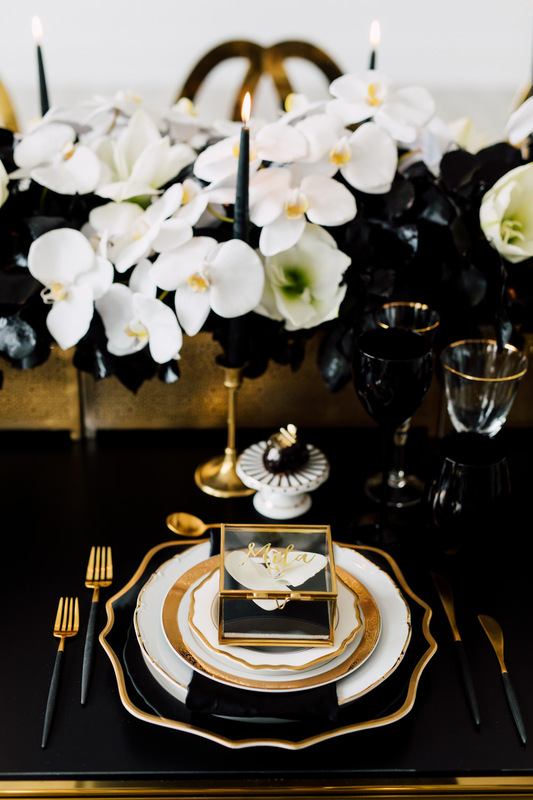 These flowers added some lightness and texture to the dark tablescape, while also acting as an accessory to the black dress. 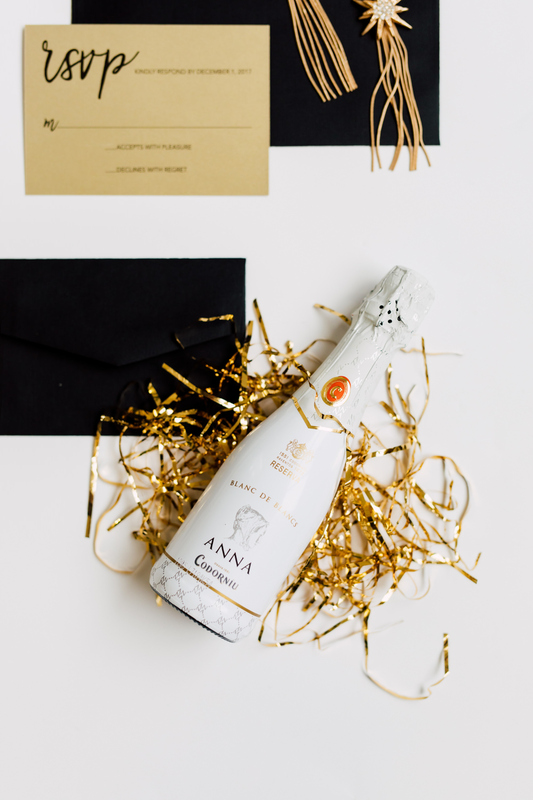 It’s probably one of the few times a bride can get away with wearing anything but white. 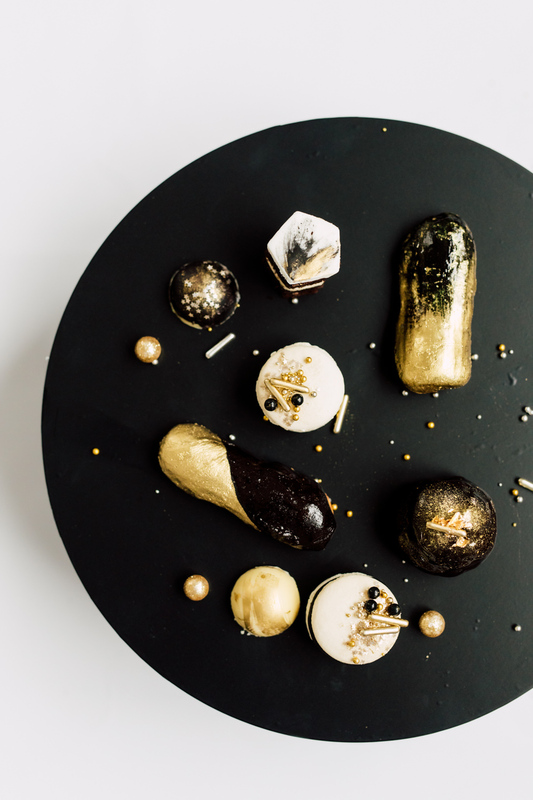 Balloons always add a fun element to any party. 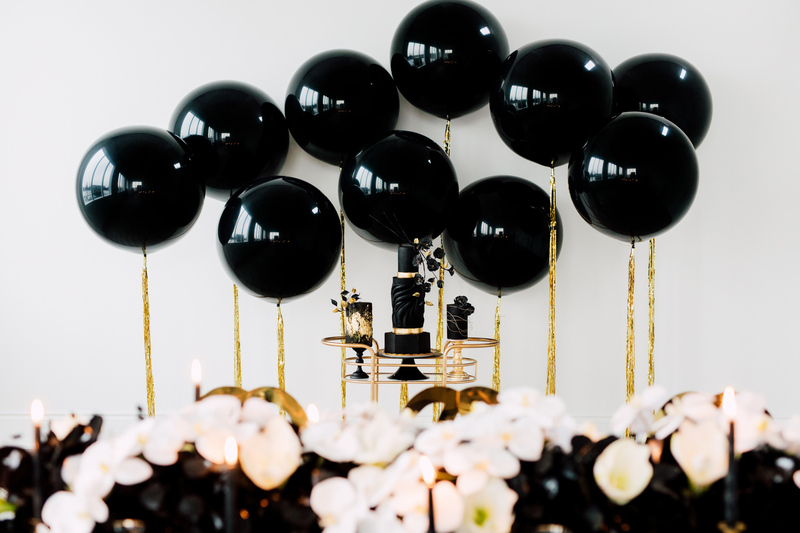 The oversized black balloons standing at different heights add a unique and glamorous backdrop against the white wall. 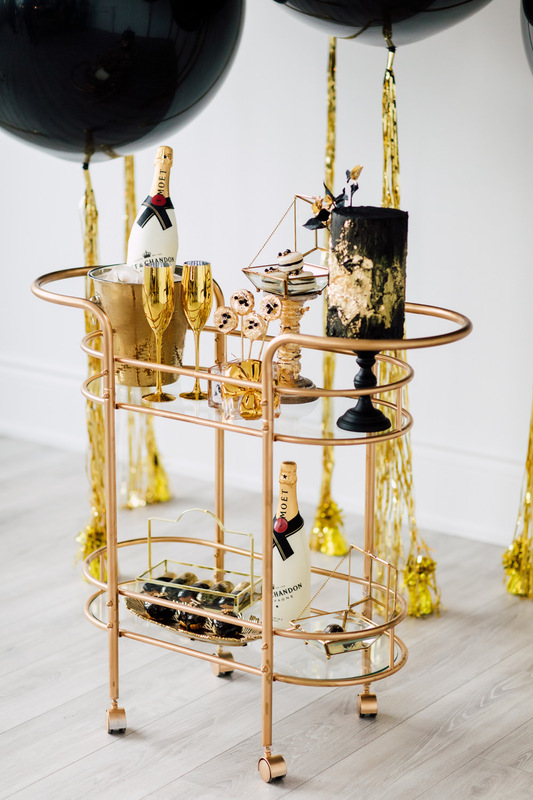 You might not have balloons at your party, but no party is complete without some bubbly, with bottles matching the decor…what, you don’t match your drinks to your party design? 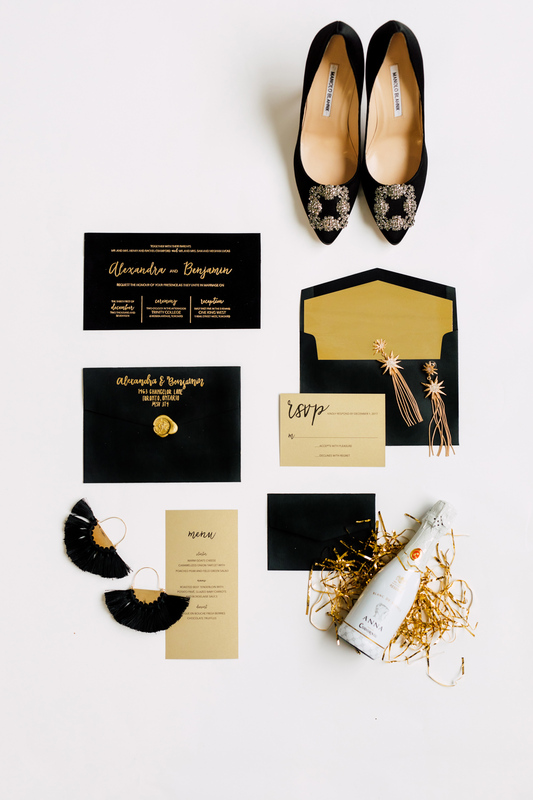 We couldn’t be more smitten with this look – it makes us want to find a reason to celebrate.